Audi has released details of the all-new A6 Avant, which goes on sale in the UK in June. It features a host of design changes that have improved efficiency and increased carrying capacity, while a range of new optional extras are available for buyers. Aluminium has been used to cut the weight by up to 70kg compared to the previous model, resulting in the entry-level 2.0-litre diesel version weighing 1,640kg. It's still no featherweight though, as a top-specification Skoda Superb estate weighs 1,502kg - that's 138kg less. A choice of three diesels and one petrol engine will be available. The 3.0-litre TFSI petrol engine makes 296bhp, while the 2.0-litre diesel outputs 175bhp. The 3.0-litre V6 diesel punches out 202bhp or 243bhp, depending on specification. All benefit from a range of economy systems, such as stop/start, that are claimed to reduce fuel consumption by up to 18% compared to the older model. The 2.0-litre diesel delivers a claimed 57mpg and emissions of 132g/km of CO2, resulting in yearly road tax of £115 and showroom tax of £115. Later in 2011 an all-new 3.0-litre diesel will be available which will deliver 309bhp. 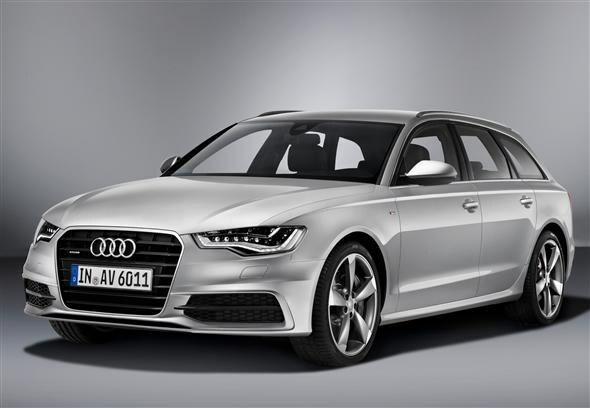 This will allow the A6 Avant to accelerate from 0-62mph in 5.4 seconds and on to a top speed of 155mph. A range of gearboxes will be available, including the new rapid-shifting seven-speed S tronic automatic on Quattro versions. Both the petrol and diesel 3.0-litre models come with Quattro as standard and an optional limited-slip rear differential will be available for drivers who want a little more capability. Handling has reputedly been improved thanks to upgraded steering and the lower weight, while drivers will benefit from a range of stability controls and adjustable driver settings. Inside the Audi gets a 6.5-inch display, which folds away, and a standard sat-nav system. Customers can specify an optional eight-inch display with a touch pad, which also adds a hard disk system that can store music. A range of online and navigation services are optional, including the navigation plus system which can supply data to the safety systems, allowing the car to tailor its lights, gearbox and cruise system for the road ahead. Luggage capacity is a substantial 565 litres, more than both the Mondeo and Mazda 6 - although less than the aforementioned Superb estate. With the rear seats folded down space increases to 1,680 litres. Two specification levels - SE and S line - will be available, each including alloys, leather upholstery, cruise and front and rear parking controls, card-based satellite navigation, Bluetooth connectivity and light and rain sensors. S line models will add larger alloys, Xenon headlamps with LED daytime running lamps, sports suspension, upgraded leather upholstery and an exclusive S line exterior and interior styling. Options include night vision, adaptive air suspension, a head-up display, park assistance, a blind spot warning system, the lane assist/lane departure detection pack and an upgraded stereo. Buyers can also specify the gesture-operated tailgate as seen on the Volkswagen Passat. Two sensors under the bumper can detect a specific 'gesture' with your foot, allowing the tailgate to open automatically - ideal if you're carrying lots of shopping. 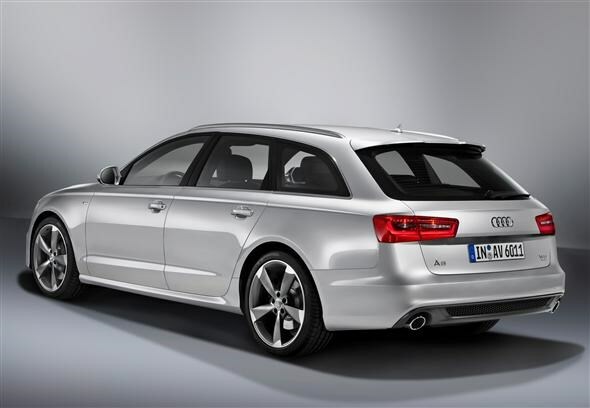 The new Audi A6 Avant goes on sale in June 2011, with deliveries expected to begin in November. Pricing ranges from £32,100 for the 2.0-litre TDI SE, to £43,480 for the 3.0-litre TFSI Quattro S line.